The electrochemistry of banana tissues on a carbon paste electrode modified with multi-walled carbon nanotubes (MWCNTs) is presented. Cyclic voltammetry is applied to investigate the direct electrochemistry of banana tissues i.e. a source of polyphenol oxidase (PPO). A redox couple with an anodic and counterpart cathodic peak is obtained. The influence of various parameters such as pH, scan rate of potential and heating on the electrochemical properties of polyphenol oxidase in banana tissues were examined. For apple tissues, a same signal is observed on a carbon paste electrode (CPE) modified with multi-walled carbon nanotubes. It was found that presence of carbon nanotubes (CNTs) is essential to observe the electrochemical activity of polyphenol oxidase in banana and apple tissues. In this paper, the electrochemistry of fruits was described. We have shown that multi-walled carbon nanotubes can enhance the direct electron transfer between the electroactive center of polyphenol oxidase in banana tissues and the underlying electrode. S. Shleev, J. Tkac, A. Christenson, Tautgirdas Ruzgasa, A.I. Yaropolov, J.W. Whittaker, L. Gorton, Biosens. Bioelectron. 20 (2005) 2517. M.J. Eddowes, H.A.O. Hill, J. Chem. Soc. Chem. Commun. 21 (1977) 771. P. Yeh, T. Kuwama, Chem. Lett. 6 (1977) 1145. A. Christenson, N. Dimcheva, E.F. Ferapontova, L. Gorton, T. Ruzgas, L.Stoica, S. Shleev, A.I. Yaropolov, D. Haltrich, R.N.F. Thornely, S.D. Aust, Electroanalysis 16 (2004) 1074. E.E. Ferapontova, Electroanalysis 16 (2004) 1101. J. Liu, F. Wu, L. Chen, L. Zhao, Z. Zhao, M. Wang, S. Lei, Food Chem. 135 (2012) 2872. S. Singh, D.V.S. Jain, M.L. Singla, Sens. Actuat. B 182 (2013) 161. M. ElKaoutit, I. Naranjo-Rodriguez, K.R. Temsamani, M. Dom´ınguez, J.L.H.-H.d. Cisneros, Talanta 75 (2008) 1348. 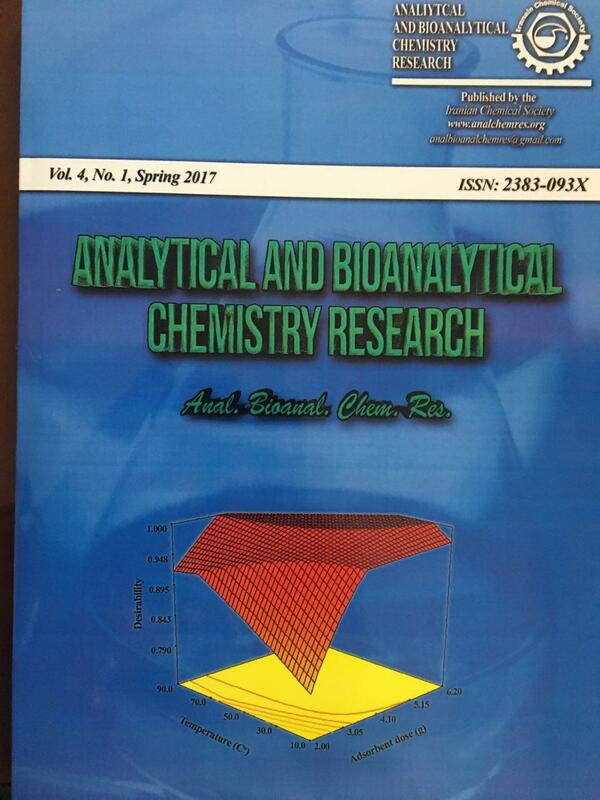 S. Wu, H. Wang, S. Tao, C. Wang, L. Zhang, Z. Liu, C. Meng, Analytica Chimica Acta, 686 (2011) 81. L. Yang, H. Xiong, X. Zhang, S. Wang, Bioelectrochemistry, 84 (2012) 44. J. Zhao, D. Wu, J. Zhi, Bioelectrochemistry, 75 (2009) 44. F. Giroud, C. Gondran, K. Gorgy, V. Vivier, S. Cosnier, Electrochimica Acta, 85 (2012) 278. B. Reuillard, A.L. Goff, C. Agnès, A. Zebda, M. Holzinger, S. Cosnier, Electrochemistry Communications, 20 (2012) 19. M. Penza, F. Antolini, M.V. Antisari, Sens. Actuat. B 100 (2004) 47. S.G. Wang, Q. Zhang, R. Wang, S.F. Yoon, J. Ahn, D.J. Yang, J.Z. Tian, J.Q. Li, Q. Zhou, Electrochem. Commun. 5 (2003) 800. X. Yu, D. Chattopadhyay, I. Galeska, F. Papadimitrakopoulos, J.F. Rusling, Electrochem. Commun. 5 (2003) 408. M.C. Weigel, E. Tritscher, F. Lisdat, Electrochem. Commun. 9 (2007) 689. S. Sajjadi, H. Ghourchian, H.-A. Rafiee-Pour, P. Rahimi, J. IRAN Chem. Soc. 9(2012) 111. R.T. Kachoosangi, G.G. Wildgoose, R.G. Compton, Analyst 133 (2008) 888. T.H. Tran, J.-W. Lee, K. Lee, Y.D. Lee, B.-K. Ju, Sens. Actuat. B 129 (2008) 67. M. Mazloum-Ardakani, H. Beitollahi, M.A. Sheikh-Mohseni, H. Naeimi, J. IRAN Chem. Soc. 9 (2012) 27. M. Noroozifar, M. Khorasani-Motlagh, S. Rostami, F.Z. Jahrom, J. IRAN Chem. Soc. S. Ijima, Nature 354 (1991) 56. M.K. Kumar, A.L.M. Reddy, S. Ramaprabhu, Sens. Actuat. B 130 (2008) 653. K. Kidena, Y. Kamiyama, M. Nomura, Fuel Process. Tech. 89 (2008) 449. C.E. Banks, R.G. Compton, Analyst 131 (2006) 15. A.I. Yaropolov, A.N. Kharybin, J. Emneus, G. MarkoVarga, L. Gorton, Bioelectrochem. Bioenerg. 40 (1996) 49. L. Vamos-Vigyazo, N.F. Haard, Crit. Rev. Food Sci. Nutr. 15 (1981) 49. A.M. Mayer, Phytochem. 67 (2006) 2318. J.-Y. Imm, S.-C. Kim, Food Chem. 113 (2009) 302. E. Nkya, C. Kouno, Y.-J. Li, C.-P. Yang, N. Hayashi, S. Fujita, J. Agric. Food Chem. 51 (2003) 5467. C.-P. Yang, S. Fujita, K. Kohno, A. Kusubayashi, M. Asharafuzzaman, N. Hayashi, J. Agric. Food Chem. 49 (2001) 1446. R.G. Moores, D.M. Greninger, I.I. Rusoff, J. Am. Chem. Soc. 74 (1952) 928. P. Zhou, N.L. Smith, C.Y. Lee, J. Agric. Food Chem. 41 (1993) 532. C. Soysal, J. Food Biochem. 33 (2009) 134. A. Quiles, I. Hernando, I. Perez-Munuera, V. Larrea, E. Llorca, M.A. Lluch, J. Sci. Food Agric. 85 (2005) 1017. A.M.C.N. Rocha, A.M.M.B. Morais, J. Sci. Food Agric. 82 (2002) 120.